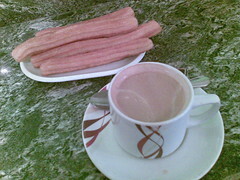 Churros (fried dough, similar to the Yu Tiao from home) and Cafe con Leche. great. Especially on this rainy morning.